Legend tells of a time when Heaven was ruled by three mighty gods, each with their own domain. Most powerful of all was Susanoh-oh, a violent and chaotic entity who terrorized the other gods until he was banished to the underworld for his crimes. There he encountered and slew the monstrous eight-tailed serpent of Yamata and gained his new title -- The God of Darkness. 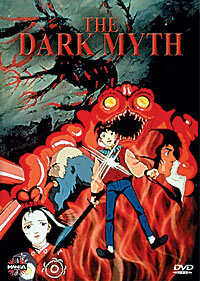 Surreal, chilling and complex, The Dark Myth is a two-part tale of prophecy and fear, weaving the violent mythology of ancient Japan into a web of modern horror.